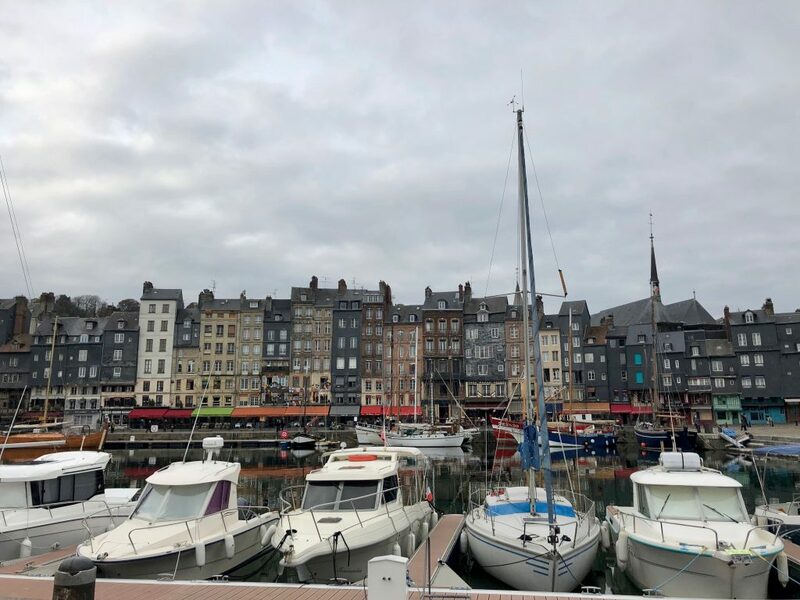 In all my years of visiting and living in France, how is that I never knew about a gem- the port town of Honfleur? It’s got to be one of the prettiest villages in France. This picturesque Normandie town was the second stop of a Fred Olsen river cruise. Honfleur has echoing small streets with timbered houses, painted in pastels and library colours. 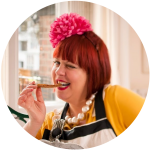 You can explore tiny artisan shops selling chocolate sea shells, flavoured sea salts, fleur de sel, salted caramels, Calvados and taste exquisite pastries such as a Paris-Brest. It’s the perfect romantic weekend for a honeymooning couple. 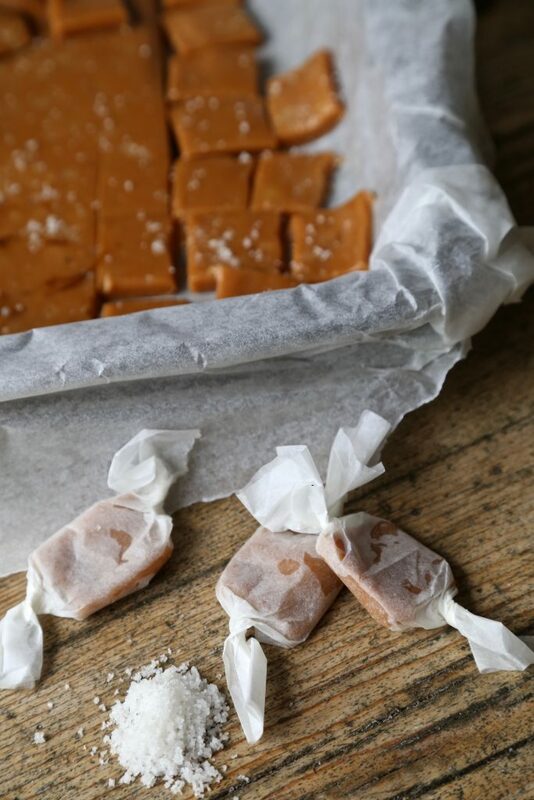 Below find my recipe for salted caramels from my book MsMarmitelover’s Secret Tea Party. Ideally you’d use local speciality fleur de sel, which is the ‘flower of the salt’, the delicate crust with flower-shaped crystals, left after the sea water evaporates. The pre-impressionist painting group, l’école d’Honfleur, captured the scenes. 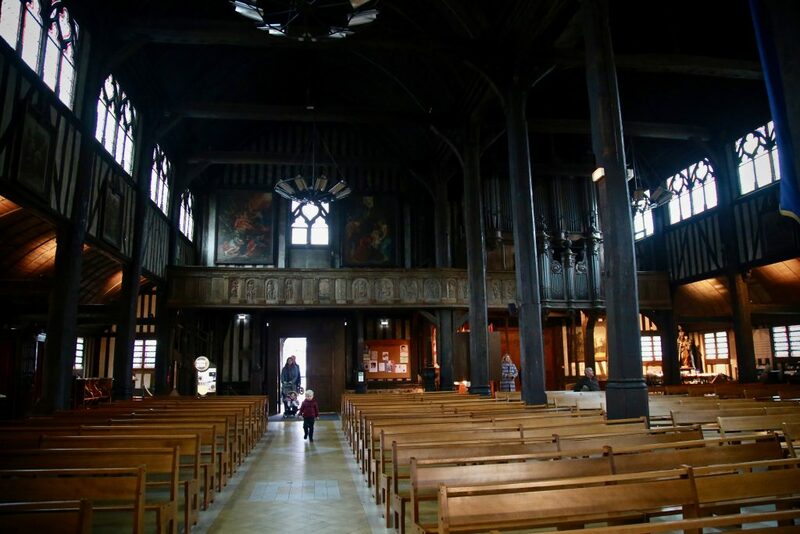 In the centre I came across the remarkable and largest wooden church in France, Ste Catherine, like the vast hull of an upside-down Viking long ship, all wooden beams, yellow candlelight and incense. Line a 20cm square cake tin with parchment paper. Place a medium heavy-based pan over a medium-low heat. Add the cream, sugar and corn syrup and stir continuously with a wooden spoon until it reaches 125ºC (hard-ball stage) usually 20 – 30 minutes. Remove pan from the heat, then add the butter, vanilla and 2 teaspoons of the salt. Return to the heat and keep stirring until the butter has melted. Remove from the heat, pour the mixture into the prepared cake tin and then sprinkle with the last teaspoon of sea salt. Leave to cool and set, then cut in squares and wrap in small was paper square. Store in an airtight container for up to 1 month.